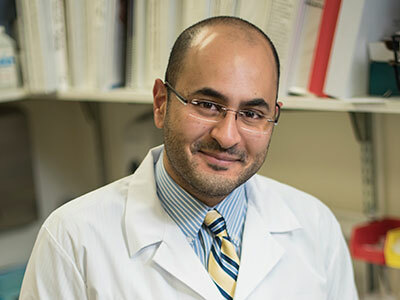 A research team that includes Youssef A. Kousa, M.S., D.O., Ph.D., has created a novel tool to delete Interferon regulatory factor 6, which regulates how epidermal cells differentiate, multiply and migrate. 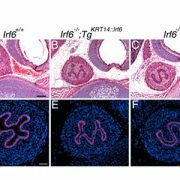 A research team has created a novel tool to delete Interferon regulatory factor 6 (Irf6), which regulates how epidermal cells differentiate, multiply and migrate. Mutations of this critical transcription factor are implicated in two orofacial clefting disorders. As with other transcription factors, the IRF6 protein binds to specific regions of DNA and plays a role in that specific gene’s activity. 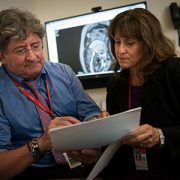 With van der Woude syndrome, a rare disease that occurs in 1 in 35,000 individuals, the National Institutes of Health (NIH) says mutations to the IRF6 gene inhibit production of the IRF6 protein. 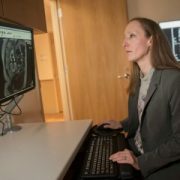 That protein shortfall lies at the heart of incomplete development and stalled maturation of tissues in the skull and face. For popliteal pterygium syndrome, IRF6 mutations can trigger facial abnormalities, webbed skin, and fused fingers and toes. According to the NIH, the IRF6 protein is active in embryonic skin cells that later become tissue in the head, face and tongue. The study authors write that DNA variation in the IRF6 gene (which issues the marching orders to make the IRF6 protein) significantly heightens risk for developing non-syndromic cleft lip and palate, one of the most common congenital defects. 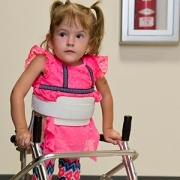 Studying the function of this critical gene in preclinical models has been hobbled by the fact that experimental models created without the Irf6 allele are born with severe skin, limb and craniofacial defects and die shortly after birth. To overcome this hurdle, the research team did a bit of creative genetic shuffling to make a conditional allele of Irf6 to test in specific tissues at specific times as the experimental animals matured. 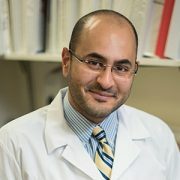 “The experimental models with the Irf6 conditional allele were viable after birth and, in fact, showed no developmental or reproductive defects when compared with their litter mates – which provides a reassurance that this specific change does not appear to affect overall normal gene function,” says Youssef A. Kousa, M.S., D.O., Ph.D., a pediatric resident in the child neurology track at Children’s National Health System and co-lead author of the technology report published online May 8, 2017 in Genesis. To drill down into how the conditional allele affected the experimental models, the research team bred them with other animals specially designed to illuminate the function of the conditional allele. Some genotypes were lost, as was expected. 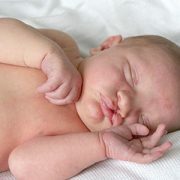 Litters that were hypothesized to experience certain rates of severe limb, skin and craniofacial abnormalities did so. Immunostaining revealed IRF6 expression throughout the spinous layer and basal ­­­– or deepest ­­­– layer of the epidermis, but such expression was lacking in wildtype and knockout embryos. In a different group of experimental models, the researchers added the deleter strain Ella-Cre. Nineteen resulting embryos were positive for the conditional allele but showed no evidence of recombination. Eight normal embryos showed incomplete recombination. Nine embryos showed complete recombination in tail tissue. Just one embryo phenocopied the wild type embryos. Future research will explore the utility of other Cre-drivers, such as Gdf9-Cre or CAG-Cre, to provide additional clarity about the functionality of the newly derived conditional alleles.